…Wait, what? 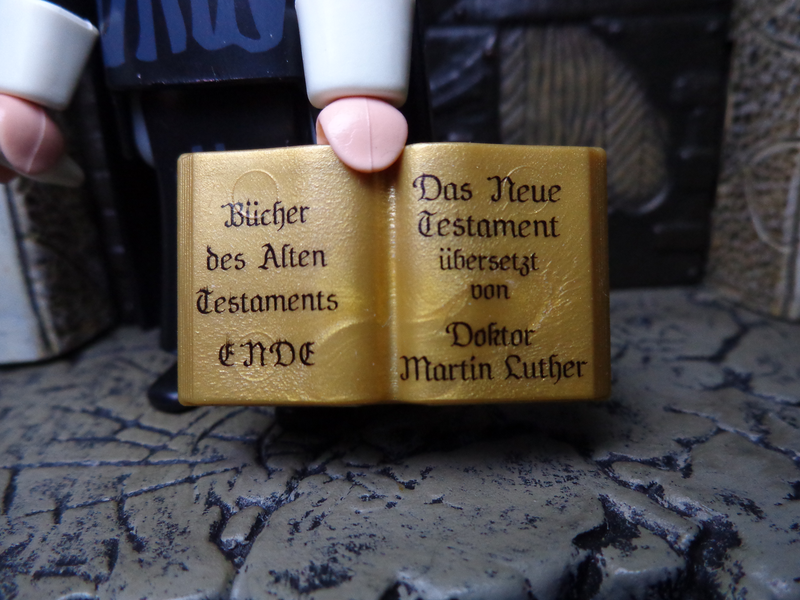 Well, on October 31, 1517, Martin Luther nailed his Ninety-Five Theses to the door of the Wittenberg castle-church. In his mind, he was opening a debate on the conflict between the Church’sdoctrine and the Bible’s teachings. But in actuality, it came at just the right time, during social upheaval, technological progression (such as the invention of the Printing Press), educational revolution, a philosophical shift, the end of feudalism, and the expansion and creation of the middle class, that what he did had massive ramifications. Instead of a brief religious debate or, as was more likely, a condemnation and execution, Luther spearheaded a massive split in the church, as the Reformers, aka Protestants protested Rome, and founded their own churches. Now, the religious significance of this is… well, duh. Huge. But what about you, dear readers? What difference does the Protestant Reformation make for YOU? Well, without it, we wouldn’t have our modern world. understand, no idea is in a vacuum – they all build from what came before, and contribute to what comes after. The Renaissance was certainly a massive turn against the medieval systems of society and thought, but it was mostly for the upper classes and a newly-emerging banker-merchant class (for more on this, read up on Jacob Fugger – I recommend The Riches Man in the World). What the Reformation did was bring these reforms to the common man. Gutenberg’s Printing Pres had already existed since 1439, but had languished until the Reformation created a demand for every peasant, every commoner to own their own Bible – and hey, why not add in some other books, too? Conflicts between Protestant sects, such as the Anabapists, were certainly fierce, but they ultimately led to the religious freedom first championed in the Enlightenment, and now celebrated today. Luther was a stepping stone – an important, powerful stepping stone, but one of the key figures who led into our modern, free – and yes, secular – society. You wnt another example? Tell me, what do you do for a living? Do you work for the church? Are you an artist? In academia? A rich banker? Some sort of nobility? Or do you just do a job? Do you feel any dignity in labor that isn’t one of those rich-person or artist categories above? Do you care at all about simple, normal folk? That’s the Reformation. Because a huge part of the movement involved allowing the everyman to read the Bible in his own language (formerly illegal, with people ike Jan Hus and John Wycliffe dying for the crime of translating the Bible), common people gained a level of agency heretofore unknown. Of course, it wasn’t perfect, but remember what I said before – stepping stones. And this one was key. Take a look at some contemporary art – before and after. Yes, the Renaissance hd broken free from the oddly un-lifelike, scred-only paintings of the Middle Ages, but what about their beautiful, masterful portraits of… people? The following is a simplification, but this is a freaking toy review article, and we’ve got to get to the toy in a second. Aside from the obvious difference in style, the subject matter is a complete 180. 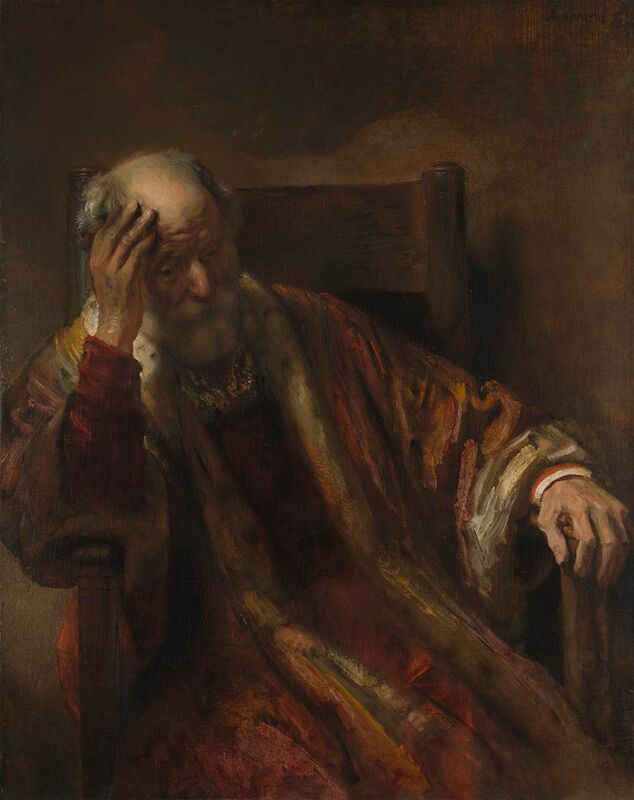 Rembrandt’s old man and Rijk’s peasant lady (with a cat) are as common and poor as mud, but portrayed with dignity and worth, using deep, warm colors to give them life and beauty. 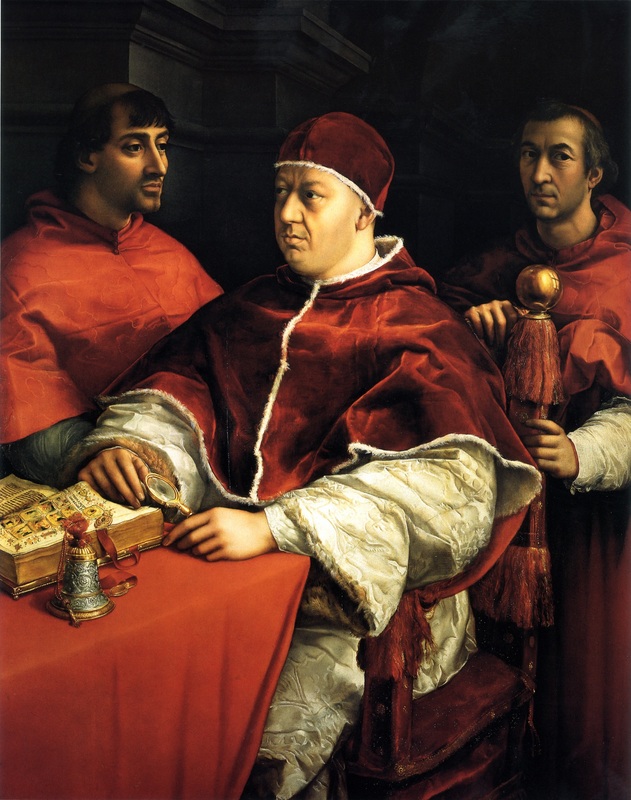 Before the Reformation, the rabble existed to serve the Pope. 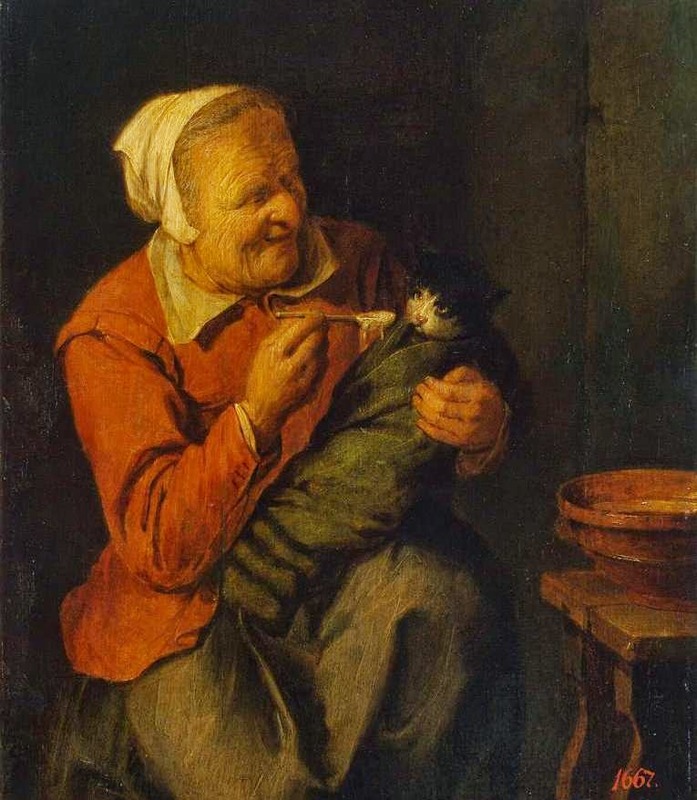 After the Reformation, even the Crazy Cat Lady was a valuable individual. Playmobil is a German company that kinda-sorta competes sorta-ish with LEGO, though not really. Its people are all stylized, though, and in recent years the line has expanded beyond its intentionally generic roots to include historical characters. 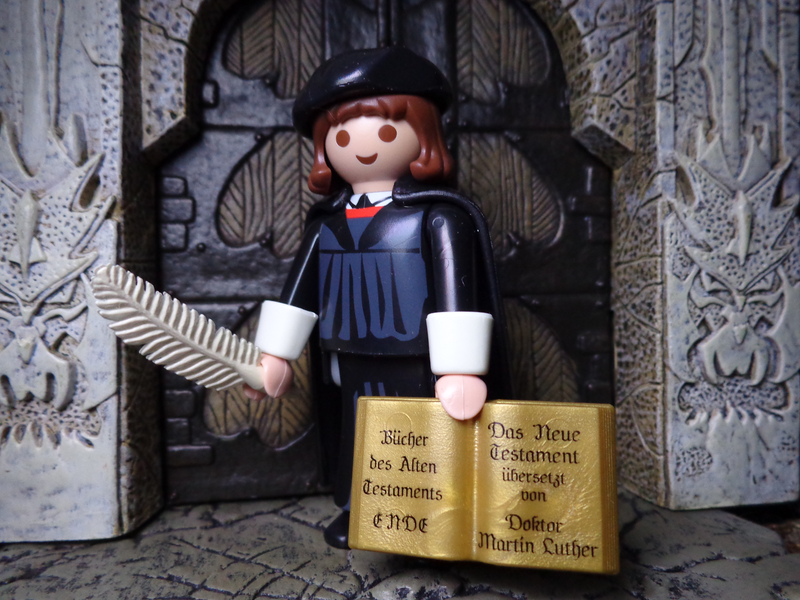 You won’t see this one in those blind bags at Toys R Us, though – Martin Luther is a German release, originally meant for Wittenberg, but it sold out so fast that they have ordered more print runs, and plan to release it worldwide in some form or another. 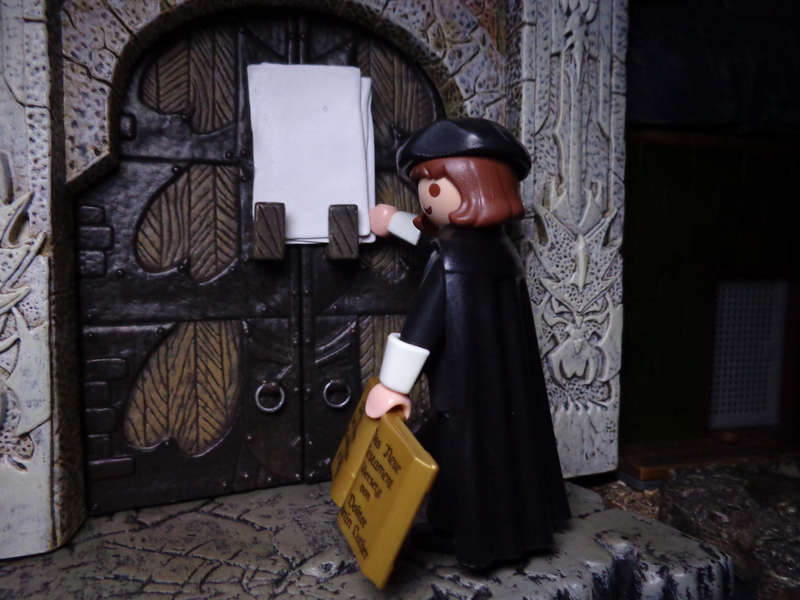 It comes with a little pamphlet discussing Luther, and… dangit, rabbit trail time! 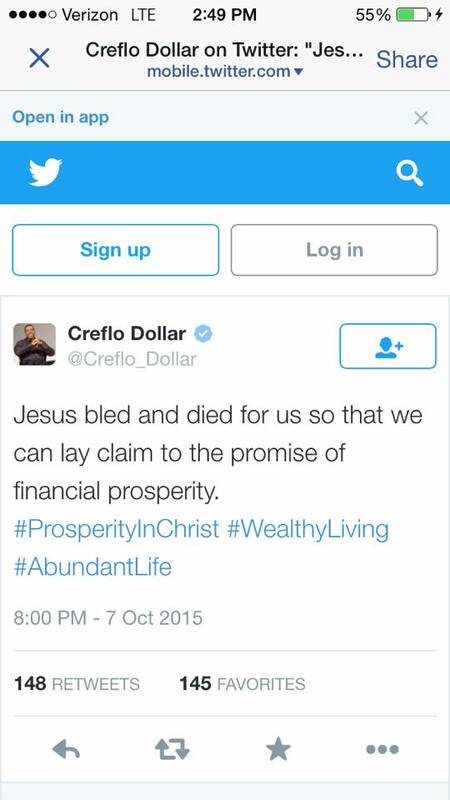 Sheesh, that’s the kind of thing Jesus kicked over tables about. Mind you, it’s not like the Protestants are totally innocent of this. Okay, RANT OVER BACK TO THE TOY. Sorry about that. 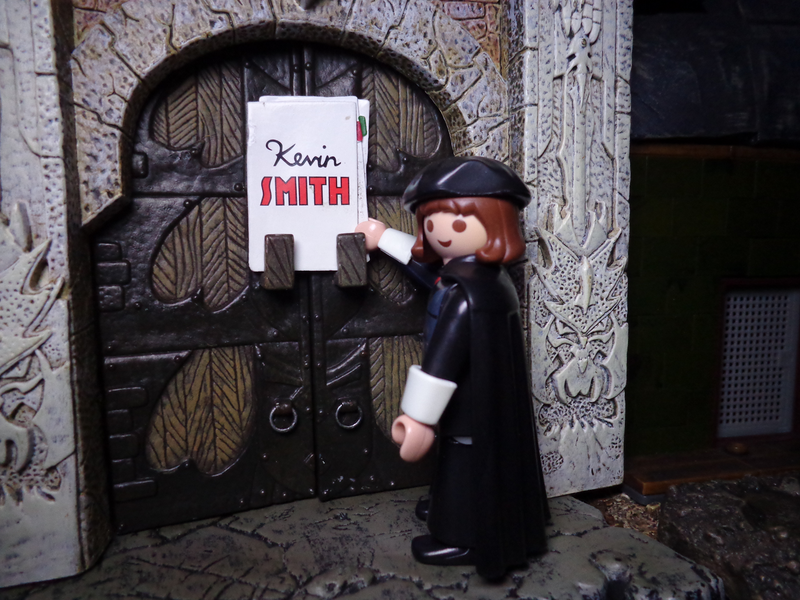 Anyway, Luther is built from the basic Playmobil body, so he looks surprisingly skinny – he was a fat man, after all. But then, he was also was the Prior of his monastery and the district vicar over 11 other monasteries, and a professor and doctor of theology, but people like to portray him as a simple monk. He comes with his outfit (cuffs, hat, cape), as well as two other accessories, a quill pen and a Bible. The Bible advertises itself as the New Testament in German, which he translated himself. As for other props, you’ll have to find them yourselves those papers came from a Spider-Man figure (the other side has Kevin Smith’s name on it), but it shouldn’t be hard. The thing is, this is Martin Luther. It might be the only Luther figure ever, and it’s selling insanely well. The price on the aftermarket is currently $15-$20, but fluctuates heavily. 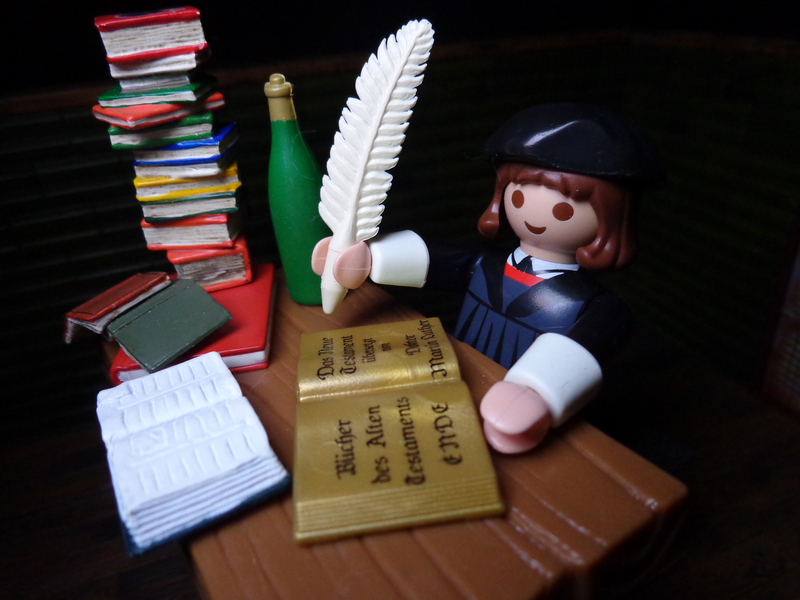 As we get closer to the 500th anniversary of the Reformation, the figure will likelyget reprinted and become cheaper, but I do not know the international release schedule. It’s great with other pLaymobil figures because of their stylized look, but is pretty cool on its own, too. And come on, it’s Martin Freaking Luther. Between Luther and Alfred Hitchcock, this year has been one of the most mind-bogglingly awesome ones for toys in recent memory. So, whether you’re religious, or just appreciate the cultural revolution, this is a pretty good thing. Now we just need John Calvin or Huldrych Zwingli. Come on, Playmobil! We’re waiting!